Ford’s 2015 aluminum-body F-150 pickup has taken home the prestigious Truck of Texas award, handed out annually by the Texas Auto Writers Association Truck Rodeo. Ford Motor Co. won in a few other categories. For example, the 2015 Ford Transit 250 won for commercial vehicle, and the 2015 Lincoln MKC was named CUV of Texas. The 2015 Jeep Grand Cherokee was named SUV of Texas for the fifth straight year. Ford was named the Truck Line of Texas. There’s an ironic twist to the F-150’s Truck of Texas award. The official sponsor of the 2014 Truck Rodeo is the Steel Market Development Institute. Since Ford announced it would change from steel to aluminum for the body of the 2015 F-150, forces aligned with steel have been waging a public relations battle with the aluminum industry over the virtues of their metals. Other winners include the 2015 Jeep Cherokee Trailhawk as compact SUV; the 2015 Jeep Grand Cherokee Overland 4x4, midsize SUV; the 2015 Chevrolet Tahoe 4WD, full-size SUV, and the 2015 Range Rover Evoque 5-Door, compact luxury SUV. Chrysler Group’s Uconnect Access system won the award for best connectivity, and Chrysler’s 3.0-liter V-6 Eco diesel engine won for best powertrain. 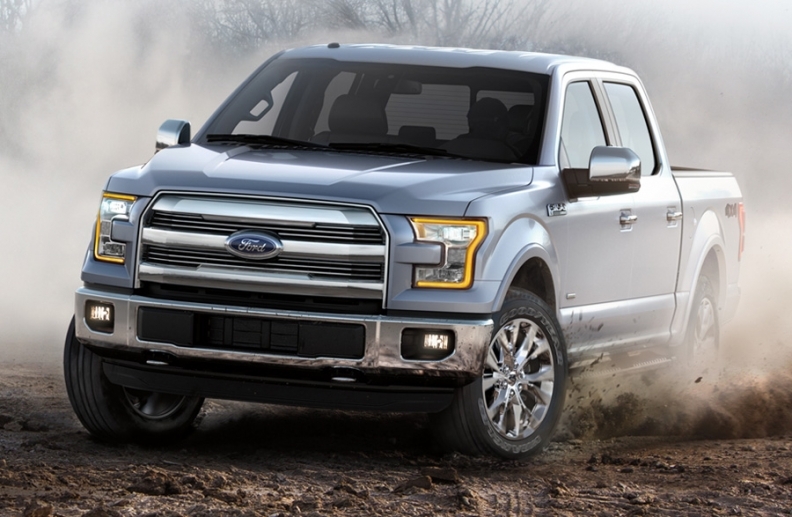 The 2015 Ford F-150 King Ranch was honored for best technology with its “high-strength military-grade aluminum body,” the association said in a release. Sixty auto writers drove 75 vehicles for two days at the Knibbe Ranch outside San Antonio to choose the Truck of Texas.